Night is falling in the Wood River Valley, a broad, flat expanse of southern Oregon, just south of Crater Lake National Park. John Stephenson, a gray-haired, lantern-jawed U.S. 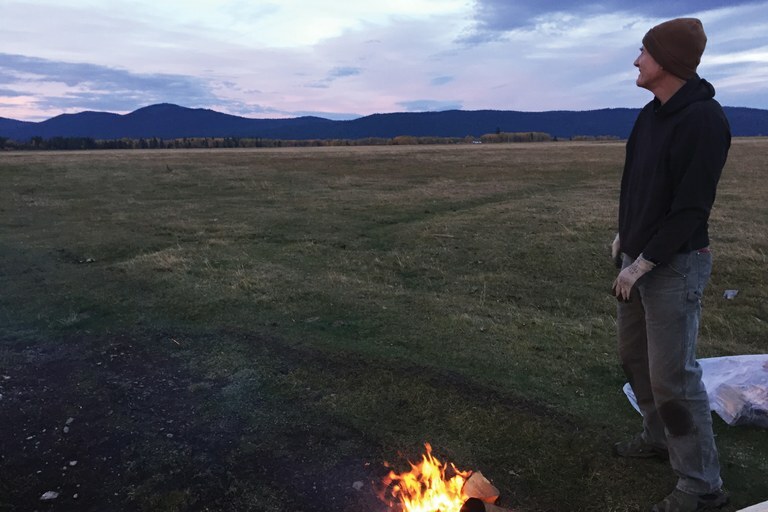 Fish and Wildlife Service biologist, is building a campfire on this chilly late October evening. He is here to be a human — to move around and make noise and generally discourage a nearby wolf pack from coming out of the dark timbered hills. These wolves have killed four yearling cattle in this particular pasture already. And this isn’t any old wolf pack; it was the first to settle in southern Oregon, and the family of a legendary lupine wanderer known as OR7. Wolves are expanding across the West, though they’re still federally endangered in some places. At the edges of their range, the wolf frontier, the animals are more likely to be individually known and managed as if each one is precious. If one finds a mate or has pups, it’s announced in the local paper and even on Facebook. And if one begins killing livestock, government officials camp out for days in a cold pasture, hoping to maintain a fragile coexistence without further bloodshed — especially if the wolf is as famous as OR7. 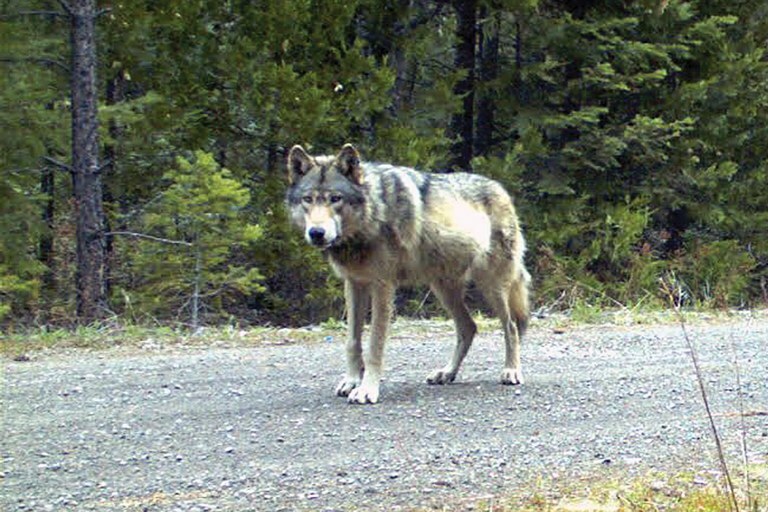 OR7, whom local environmentalists dubbed “Journey,” gained his official designation in early 2011, when he became the seventh wolf to be captured and fitted with a radio collar in Oregon. That fall, he left his natal pack and took off on an epic thousand-mile trek that saw him cross into California for a time, becoming the first wild wolf in the Golden State since the 1920s. His wanderings surprised biologists, who hadn’t realized how far wolves were prepared to travel in search of a good territory and a mate. And he inspired environmentalists, who regarded “Journey” as symbolic: the personification of wildness reclaiming the Pacific Northwest. OR7 has since inspired two documentaries, a children’s book, and a Twitter account (“Hobbies: wandering, ungulates”). OR7 is now 7 years old, and he and his family have largely kept to themselves, hunting elk and staying in the remotest parts of the forest. 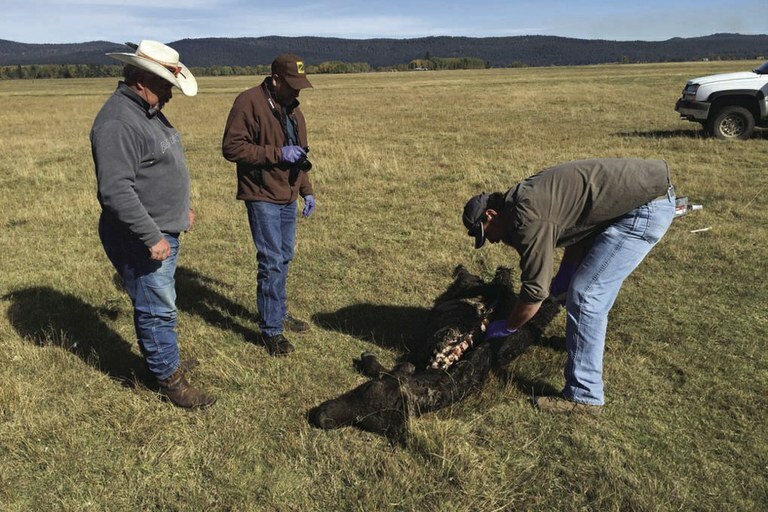 It wasn’t until this year that the Rogue Pack bothered livestock, perhaps owing to what Utah State University ecologist Dan MacNulty calls “predatory senescence” — older wolves simply have a harder time chasing down wild game, and fat, placid cattle make a tempting alternative. So far, the attacks have been few, annoying rather than infuriating Klamath County ranchers. Wolves haven’t colonized all of the West’s suitable habitat, including parts of Utah, Colorado and Nevada, but they have expanded faster and more broadly than expected. Twenty-one years after the first wolves were moved from Western Canada to Yellowstone, there are approximately 1,900 wolves in the Northern Rockies and Pacific Northwest, plus another 3,610 in the robust Great Lakes population and 65,000 in Canada and Alaska. Wolves have already been delisted in Montana and Idaho, which now have hunting and trapping seasons. They’ve also been delisted in the eastern third of Oregon (without legal hunting or trapping), and the state has removed the species from its endangered species list. When wolf numbers are very low — during the early days of reintroduction, or in small, isolated populations like the Mexican wolf subspecies — genetic diversity is precious and every breeding adult with unique genes can be vital to recovery, says MacNulty. But at a certain point, that’s no longer true. Once wolves have a large enough interconnected population, removing one won’t matter to their conservation status. And thus many Oregon wolves, including OR7 and his pack, are probably, ecologically speaking, expendable. The draw of the individual is testified to by the popularity of wild animals with distinctive characteristics — an unusual gait, a recognizable voice or an easy-to-spot color variation, like that of the grizzly cub called “Snowy” in Grand Teton National Park. Well-known animals are featured in the press releases of groups like Defenders of Wildlife or the Center for Biological Diversity, which often releases fundraising appeals when a particular favorite is killed by officials or poached. Recently, an email blast from Defenders announced that a locally famous sea otter in Southern California known as “Mr. Enchilada” was killed by a car. The group used the “devastating loss” to lobby for speed humps to slow down motorists. Clarification: In Wyoming, wolves were delisted from the endangered species list in 2012, but federal protections were restored in 2014. Emma Marris writes about wildlife, ecology, conservation and occasionally food from Klamath Falls, Oregon.